Jones Rd. Lifestyle plus! 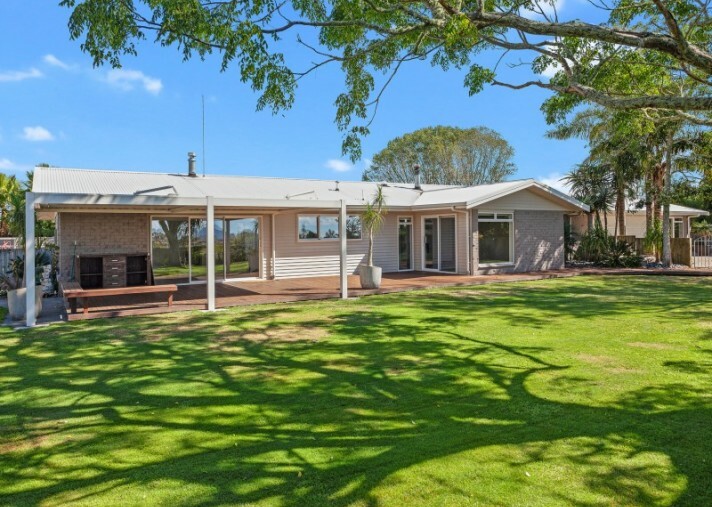 A rare opportunity to purchase a modern and spacious five, double-bedroom home only a few kilometres from Whakatane and The Hub shopping centre. Totally remodelled in 2012 the home is designed with an extended wing containing two bedrooms, a bathroom and toilet, together with a second large lounge plus a kitchenette - ultimate for teenagers or extended family living in. With a total of three living areas and three bathrooms (including the master ensuite), the home provides solutions for a variety of domestic living arrangements. There is also a double garage with int. access and a capacious office/workout room. The modern kitchen, dining and family living opens on to an outdoor BBQ deck with adjustable Louvretec canopy overhead. 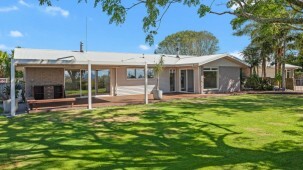 Well fenced, established grounds provide a safe, private setting for children and pets and include a larger paddock out the front. Adjacent to the home is a utility yard, with a separate entrance, containing two workshops combining a total of 174 square metres of floor space. An ideal environment for hobbyist, vehicle enthusiast or side-line activity. Vendor seeks offers by way of Set Sale Date closing 12.00pm on 24 April 2019. Expecting interest over $1,100,000. Price Includes GST (if any). 0.5467 Ha (1.35 Acres).